Jeremy Combs had a monster game and Texas Southern picked up its sixth win in a row at Jackson State. Jackson, Miss. – Texas Southern and Jackson State are going in two different directions, down for the Mississippians and up for the Texans. TSU got a big night from Jeremy Combs and mounted a second-half comeback for a 77-65 win. Combs had a monster game with 33 points and 17 rebounds as TSU won its sixth game in a row. With its fourth straight loss, Jackson State (9-17, 6-7) finds itself in sixth place in the conference. Texas Southern (14-11, 9-3) remains locked in at second place behind Prairie View (13-13, 11-2). JSU finished the game shooting 34.8 percent (23-of-66) from the floor, 30.4 percent (7-of-23) from three-point range and 60 percent (12-of-20) from the free throw line. Three Tigers finished in double figures with Chris Howell and Jontrell Walker leading the team in scoring with 16 points respectively, followed by Venjie Wallis with 14 points. Meanwhile, Texas Southern shot 46 percent (23-of-50) from the floor, 41.2 percent (7-of-17) from beyond the arc and 66.7 percent (24-of-36) from the free throw line. As JSU struggled to score offensively in the second half, TSU was the complete opposite. In the first half, Texas Southern shot just 31.8 (7-of-22) percent from the floor. After halftime, TSU got a rhythm behind the play of forward Combs, who in the first half had only eight points. Along with Combs, Jalyn Patterson finished with 17 points, followed by Derrick Bruce with 11 points. Leading by 12 going into the second half, JSU managed to maintain its lead anywhere between 10 to 12 points for nearly the first six minutes. With 13:13 to play leading 50-38, the Tigers offensive slump would soon begin. Tx Su got hot at the right time. JSU once led by as many as 14 in early part of the second half. After a couple of free throws from both teams and a three-pointer by Walker, TSU responded with a free throw and three-point basket from Patterson. 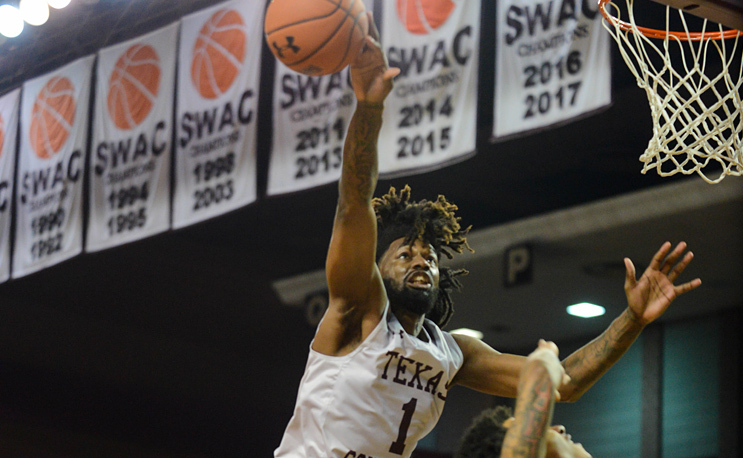 Texas Southern trailed 53-45 but not for long. TSU used a 9-0 run to take a 54-53 lead with 7:44 to play. 👀👀 Texas Southern storms back, takes lead in second half. Over the next four minutes of action, the teams exchanged baskets but TSU found its stroke from the floor, from the three-point line (5-of-9) and the free throw line (17-of-24). JSU would cut the deficit to seven but its inability to score consistently down the stretch and giving up easy transition points and TSU hitting its shots made the difference in the Tigers losing the game. In the first half, Jackson State jumped out to an early 18-10 lead against Texas Southern. As TSU failed to hit baskets like it normally would, JSU took advantage and controlled the pace of the game and found efficient scoring opportunities. The Tigers led 35-23 at halftime. Jackson State returns to action Saturday as the Tigers host Grambling State. Tipoff is set for 5:30 p.m.